Music is a very important aspect of any wedding or special event, and a great live band can be the difference between an average wedding and one that you'll never forget! While planning dance music for the reception is key, it's important not to overlook how music will also set the tone during cocktail hour and dinner. 1. Piano Player: Does your venue have a grand piano? Consider hiring someone to tickle the ivories as guests enjoy cocktails and appetizers. 2. Classical Guitarist: A continuous light, beautiful guitar melody can provide the perfect background to any cocktail hour or seated dinner. 3. 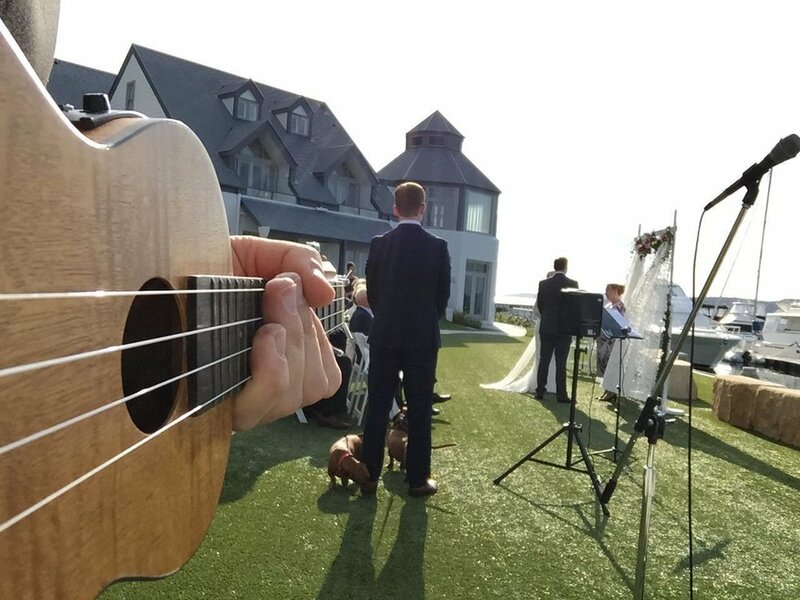 Acoustic Trio: A vocalist, acoustic guitar and some light percussion can create a fun atmosphere and have guests tapping their feet and humming along to their favorite songs. 4. String Quartet: While strings often provide perfect ceremony music, it's a great option to add an elegant and romantic feel leading into the reception. TIP: If you're going to have a live band for the reception, it doesn't hurt to ask if their players are available for these parts of the day or evening!